What are the top flooring designs for 2019? 2018 has passed in the blink of an eye and now you are here to face whatever is to come for 2019. This year could be a time of changes for you; a new office, a business venture, or even a new home. If one of these changes include designing your own house, you should keep an eye out for your desired tile design in the Philippines. When you think of rustic, floors with wood planks that are strong yet that looks quite aged are the best fit for this design scheme. 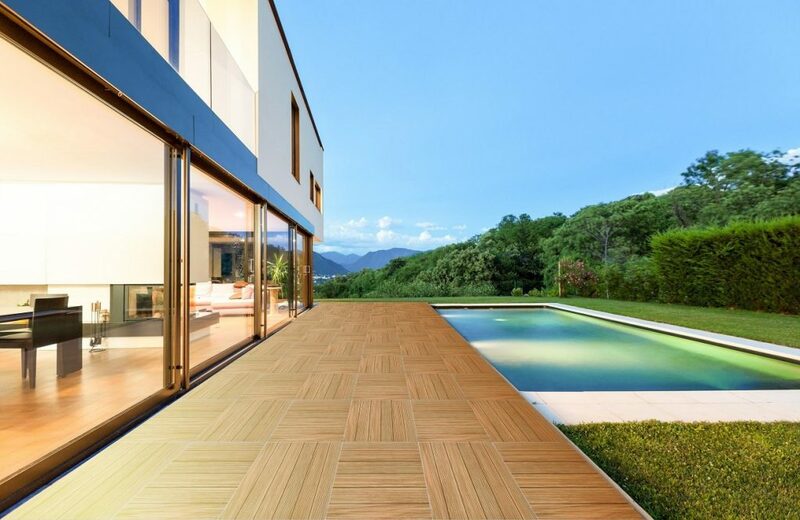 Now, tile centers are making it easier for homeowners to bring this ideal in their own living spaces with wood-inspired ceramic tiles. It is a more versatile flooring option that also comes in different finishes you can choose from such as rough (also known as rustic), matte, and glossy. People, especially millennials, love the material because its natural look can be combined with a modern touch from lighting fixtures and other design elements in a room. Furthermore, the natural and earthy tones add to it sturdiness. Lastly, their color adds warmth to a living space. If you want to have a rustic looking home, the best wood-inspired tiles for you would be those with a clean and crisp look like FC’s [60×60] M62. With wood floors, the best rooms to place them are your living room, bedroom and even outdoor installations like the one found below. Marble is well-loved by homeowners because it adds a simple yet luxurious elegance to their living spaces. 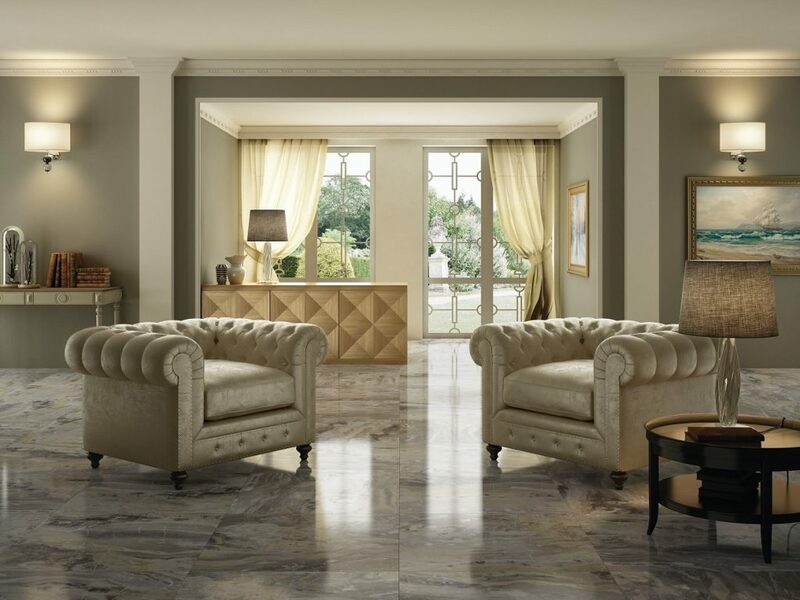 In 2019, neutral colored marble tiles are one of the trends in flooring installations. You may find that ditching the loud red and blues for basic greys, beige, and white colors would be suitable. Designing your house can mean going back to the basics which will reward you with a sleek look like no other. Luckily, now you can buy marble tiles without breaking the bank. For most structures, it is common to see designers adding marbles tiles to the home interior design. They add a relaxing atmosphere and make the residents feel at peace. If you want to make your home a tranquil place, the 59.5×59.5 RAK’s Golden Marble Tile A06GZGMA-GY0.G0P would be perfect for this. 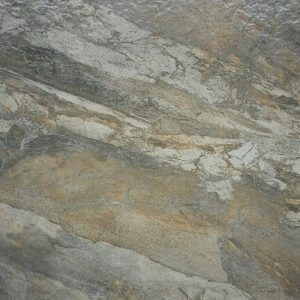 The marble with golden streaks will be an elegant addition to your home. Uniquely patterned mosaic floor tiles will continue being popular in 2019. No matter the geometric shape, all of these items will add a young feel and a sophisticated view of design in every facet of your home. These tiles are bright which is why guests will find them eye-catching. The best areas to place a mosaic floor tile are your bathroom, walls, backsplashes or even the pool area. These unique patterns will add character to an otherwise plain looking space. Your home will look more interesting with a mosaic floor because it is a masterpiece of art in itself. Vintage interior designs are perfect for those who love sticking to classics. The good thing about this floor design trend is that it has a subtle charm which works for every home. Vintage is always making a comeback in terms of design and tile trends because it is striking to look at while having that timeless character. Additionally, it is easy to find different vintage designs. 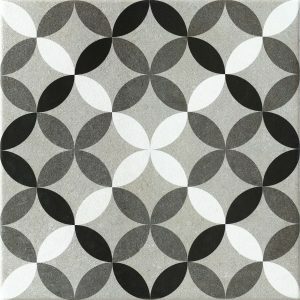 Show your artistic side by mixing and matching tile types in this category. 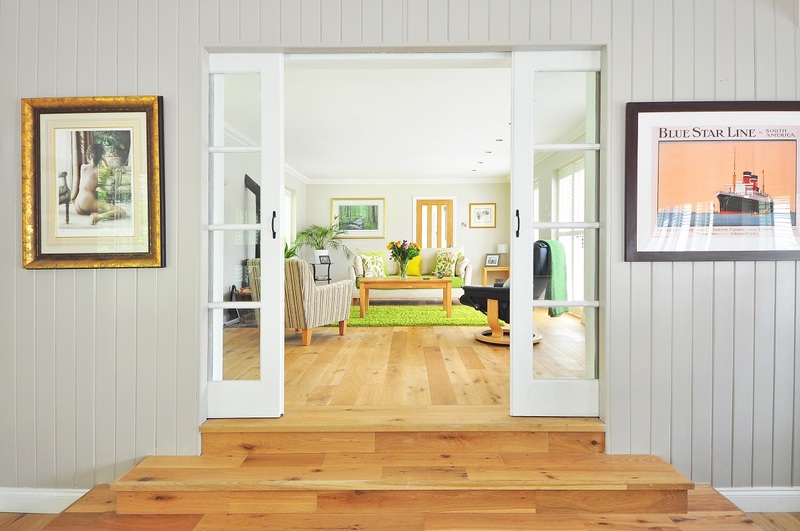 Doing this can help you achieve a creative touch to your retro-designed home. Floors with a stone pattern simply add a more organic feel to any structure and this is the main reason why people will look for these type of tiles in 2019. Every year, new flooring designs trends emerge and 2019 is no exception. Trends can act as inspirations for your new home because they show what is popular and what schemes will look the most beautiful. Make this year count! Whatever design trend you choose to go with, Floor Center has it all for you. Just click here.